Dr. Cline grew up on a farm in New Jersey, where he learned to love and care for animals at a young age. He decided to pursue a career as a veterinarian in high school, and attended Michigan State University for both his undergraduate and graduate degrees. Dr. Cline graduated in 1983 and purchased the Saline Veterinary Service with his future wife (Dr. Sandy Cline). After working in Saline for a few years, Dr. Cline entered the United States Air Force and served in South Dakota for three years, before returning to Michigan to continue working as a veterinarian. In September 1997, he and Dr. Sandy purchased Riverside Animal Clinic and have been working there ever since. When he's not working, Dr. Cline enjoys spending time with his wonderful wife and family, playing with Cedar, the crazy yellow Lab, golfing, serving at Hopevale Church, and enjoying all things Michigan State University. Go Green! Dr. Cline (also known as "Dr. Sandy" to limit confusion) has loved animals for her entire life. While growing up in Saginaw she never had any pets, but she knew that becoming a veterinarian was what she wanted. Dr. Sandy graduated as valedictorian from Eisenhower High School (now, Heritage High School). She studied at Saginaw Valley State University before transferring to Michigan State University for Veterinary School. Dr. Sandy graduated in 1984, in the top of her class. She worked at the Saline Veterinary Service, which she owned with Dr. Cline, before they moved to South Dakota. While there, Dr. Sandy taught classes at a local community college before moving back to her hometown of Saginaw in 1991. Dr. Sandy has been working at Riverside Animal Clinic since 1997, when she bought it with Dr. Cline. When not at work, Dr. Sandy enjoys spending time with her husband and family, taking care of their horses, reading, and serving at Hopevale Church. Growing up, Dr. Brenner's family did the "Midwest Tour" as her father worked for General Motors. She was born in Royal Oak, Michigan and spent her elementary years in Illinois and Ohio before moving to Saginaw for high school. As a child she loved to play basketball, run track, tap dance with her identical twin sister, cross-stitch, read Shakespeare, and spend time with her family. It was in her Sophomore year at Heritage High School that she wanted to be veterinarian. Her biology class was dissecting a pig, and she wanted to learn everything she could about it. One of the things she loves most about being a vet is that it allows her to combine her love of animals and passion for educating others with science. She attended Michigan State University for both her undergraduate and Veterinary degrees. After graduating in 2000, Dr. Brenner worked in Frankenmuth before starting at Riverside Animal Clinic in 2005. 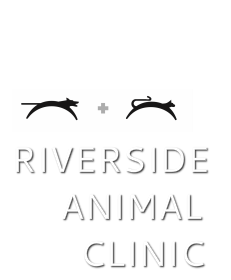 In March 2015, Dr. Brenner became a full partner at Riverside Animal Clinic. When she isn't working or attending one of her four children's activities (which is what she loves the most), she enjoys running, listening to Christian music, and vacations of hiking with her family in the mountains.